oh, sweet joy! 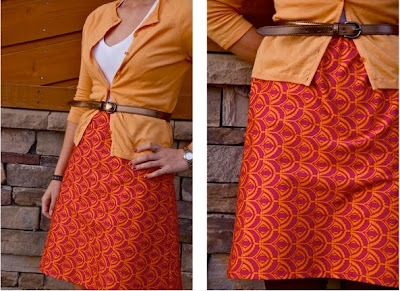 : my recent project: skirts, skirts, and more skirts. my recent project: skirts, skirts, and more skirts. okay, so these beauties have been my project for the past month. i call it the two-fer. 1. because thats a guy's nickname on 30 rock and it makes me laugh every time. 2. its a skirt, but you can make it look like a dress. two for one. dress & skirt. 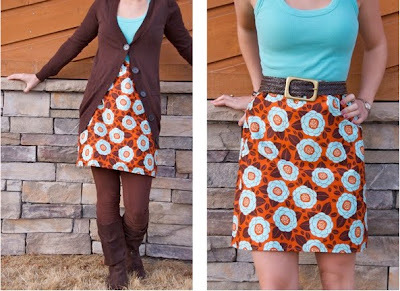 i love these skirts because they are perfect for a transition, or even year round, piece. 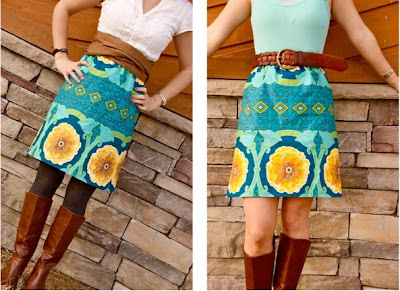 photos below show the skirts in winter/fall & spring/summer options. they will slowly be making their way into the shop once all my lovely fabric comes in. they will also be available in maternity. I can't figure out if i'm going to size them or make them custom order. my first venture. fabric: home decor weight (no slip!) joel dewberry ginseng flowers. fabric: anna maria horner's (home decor weight) plumes in raspberry. look familiar? fabric: Michael Miller's Henna Garden in Citrus. let me know your thoughts! :) i would love to hear (/read) your honest opinions. Oh my goodness, they are super cute. You are soooo talented. Love the "anthropologie" outfit. I love them! My favorite is the one done in the Plumes in Raspberry fabric. Is this length going to be standard? I have knobby knees I like to keep hidden. definitely not standard. i will make some shorter and some longer, most definitely. i will do custom orders as well, so you can give me the length you want. just found your link in the Etsy forums...I like the ginseng print and especially like the background you chose for the photos. good luck! Love the skirts - especially with the belts, etc. at the top. And some of my FAVORITE fabric designers!!! Oh goondess! I love the Anna Maria Horner's Plumes in Raspberry as well as the Michael Miller's Henna Garden in Citrus. Umm..will I still be able to get me some of these when I come back to the states?! Please say yes! 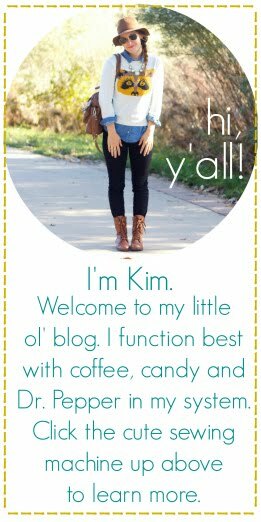 Kim, I love the skirts! I really like the trellis in teal with the cloth looking belt. Is that a belt? Anyway, fabulous job! yes, its a "belt." that i made...i guess you could call it a sash. i will be selling them with the skirts as well! They are adorable! I too would want it to hit at the top of my knee to mid-knee (approx. 19" long). Best wishes with your endeavor!